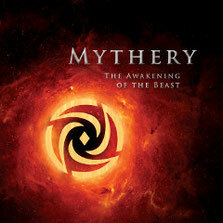 The Danish symphonic prog band MYTHERY will release their debut album "The Awakening Of The Beast" through Mighty Music/Target Records on August 12th. MYTHERY can hardly be labeled as a "typical metal band", as the band members have very different musical backgrounds. The band was formed in 2010 by Nikolaj Holger (drummer, composer and lyricist) who recruited a bunch of very talented musicians to become an ambitious musical project. Laurits Emanuel (vocals), Simon Rabenhøj (guitars), Tobias Dall (bass) and Mikkel Rosenbeck (keyboards) from the Rhythmic Music Conservatory in Copenhagen joined the band, then violinist Michala Høj was added, and the line-up was compeleted in late 2010. The vision was to create a distinctive, trademark sound that could be traced back to the roots of symphonic and melodic metal and, at the same time, push the boundaries of these genres. The result of their collaboration - "The Awakening Of The Beast" - draws inspiration from the progressive and melodic elements of Dream Theater and the symphonic elements of Nightwish. 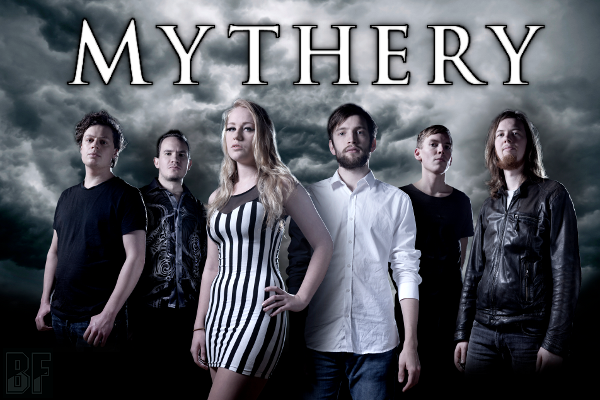 None the less, their individual qualities of each members contribute to the characteristic sound of MYTHERY and their musical vision are undeniable. The album was produced by Kristian Martinsen. The nine track album consists of four single tracks and the 30-minute epic title track of the album "The Awakening Of The Beast" which is split up into five separate parts.